Bio: Stan Flanders is an active musician, teacher and instrument repair technician for Chick Music, based in Athens, GA . Dr. Flanders performances encompass a diverse array of genres of which he has worked with Big Star Third, the Celebrity All-Star Band, and the Artie Ball Swing Band along with performing as a founding member of the experimental ensemble :lovesongs. Among his academic concentrations, Dr. Flanders is active in ethnomusicological research with his primary interest in Indian music. 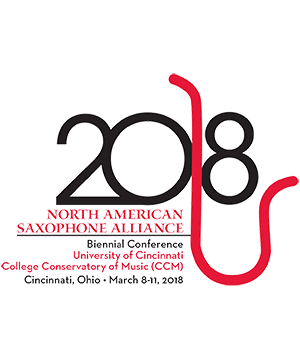 His dissertation, “Engaging Hybridity: Indian Hindustani and Carnatic Practices in the Western Classical Saxophone Tradition,” explores how the Western classical saxophonist is uniquely qualified in incorporating traditional Indian musical methodology. He is a graduate of Columbus State University (BM) and the University of Georgia (MM,DMA). His teachers include Dr. Amy Griffiths, Dr. Kenneth Fischer, Dr. Eugene Rousseau, Dr. Joseph Wytko and Dr. Connie Frigo.